Join us for Easter April 28! This event is open to the community and we look forward to celebrating Easter, PASCHA, together with all of our friends and family! 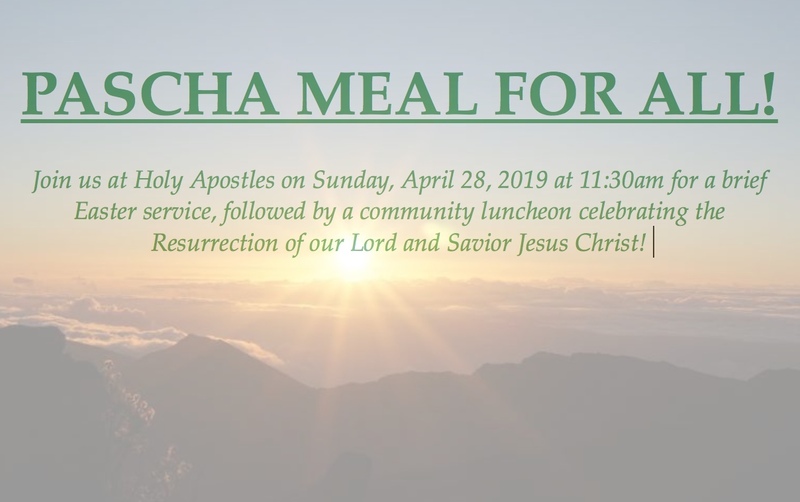 Sunday, April 28, 2019 at 11:30am at Holy Apostles, 9505 Hynds. Blvd. The Administration Staff at Holy Apostles is available Monday through Thursday, 9am-2pm or by email: holyapostlescheyenne@gmail.com, phone: 307.514.5347.